Candles are great for Christmas! 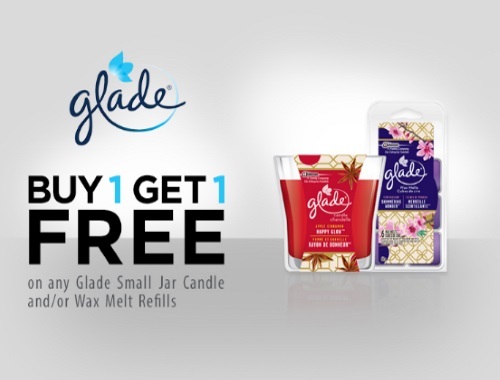 Save.ca has a new coupon for BOGO Buy 1 Get 1 Free Glade Small Jar Candles and/or Glade Wax Melts Refills. This coupon is available via mail or print. Get yours while quantities last. You can get this coupon from the Walmart coupon portal as well.